January is typically the month for reflecting on the year that has passed, and it is perhaps without a doubt that 2016 will be remembered for many, even unsavoury things, from the Zika virus, to Brexit, to the US presidential election. This is not to say that 2016 did not have some brighter notes. In September, a couple of friends and I had the pleasure of attending the launch of When We Are Bold: Women Who Turn Our Upsidedown World Right. Edited by Rachel M. Vincent, this collection featured a number of award-winning authors, including Madeleine Thien, who powerfully spoke that night on women’s place in the world and the challenges we still face. Thien is notably a graduate from UBC’s Creative Writing Program, which brings me to another piece of her writing that also garnered some attention in 2016– a letter she wrote to UBC asking for her name to be removed “as member of the UBC Creative Writing community and as UBC alumni.” Thien wrote the letter in response to the controversial investigation and firing of Dr. Steven Galloway, an award-winning novelist, as well as former professor and chair of UBC’s Creative Writing Program who was dismissed due to allegations of sexual misconduct with a student. Galloway’s case, although beginning in 2015, seems destined to continue capturing headlines, especially once his filed grievance with UBC is finally heard in March of this year. I found myself thinking about the storm swirling around Galloway once again when I started teaching a course this January at Carleton University on women’s and gender history. 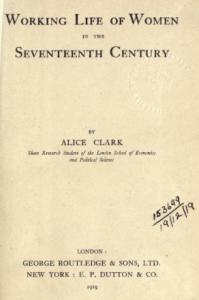 I have taught this course before and one of my first lectures in part focuses on the challenges experienced by early women historians like Alice Clark and Mary Ritter Beard in academia. Although both have since been recognized as pivotal actors to the emergence of modern women’s history, they each struggled to be recognized for their research and writing, and neither were fully accepted in male-dominated university faculties. In this lecture, I go on to discuss how later women historians like Anne Firor Scott, Sheila Rowbotham, Joan Wallach Scott and others laboured to create a more gender-inclusive historical narrative, as well as scholarly learning environment. What I don’t address is women historians more every-day challenges within academia during this era and after, at least in part because I think it is a history still waiting to be written. This history would go beyond more formal intellectual and professional boundaries placed in the way of women in academia, but also a hostile daily environment that contributed to women being characterized as somehow available for exploitation, sexually or otherwise. As a young scholar, I am indebted to the work of more established women academics and historians (as well as many supportive and principled male professors). I have benefitted from how these scholars have together helped create a safe and intellectually exciting environment for younger feminist historians such as myself. Groups like the Canadian Committee on Women’s History and the Berkshire Conference of Women Historians are concrete signs that academia has significantly shifted to encourage women in the field of history and beyond, for which I am thankful. Yet, in the not-so-distant past, women not only had to contest stereotypes that labelled them as less intellectually and professionally capable than their male colleagues (a struggle that has regrettably not gone away). They also had to navigate complex and sexually compromising interactions with some male professors and colleagues, whether in university halls or at conferences. Although more frequently accepted as graduate students and recognized as intellectuals in their field, women’s still marginalized status left them potentially vulnerable to unwanted advances, reinforcing the message over and again that higher learning was not built with them in mind. Now that they were here, they should accept the fact that they were distracting, as Tim Hunt, Nobel prize-winning biochemist and former honorary professor at University College London suggested as recently as 2015. Some of these instances of “distraction” led to formal legal proceedings or dismissals, but I suspect that others resulted in nothing at all. As Shirley Katz once wrote, sexually inappropriate behaviour, either between faculty members or faculty and students, have remained too often “the subject of gossip and idle conversation…” – a state of affairs that can deeply harm students, as well as professors. Several Canadian universities have drafted or begun to draft policies over the last few years that speak to sexual misconduct between faculty members and students, a move that has been hastened by growing provincial legislation mandating that they do so. These policies at least theoretically exist to protect both students and faculty. Considering that UBC had a sexual assault policy in place before and during the ongoing Galloway affair, however, it remains to be seen whether even this will be enough. Although feminist scholars and historians have unquestionably made higher education much more inclusive of different genders and other minority groups since the 1960s and 1970s, it would seem their work is unfortunately far from complete. Beth A. Robertson is a feminist historian of science, medicine and technology who teaches at Carleton University and is one of the co-editors of ActiveHistory.ca. Thien’s most recent novel, Do Not Say We Have Nothing, was winner of the 2016 Governor General’s Award for English-language fiction and shortlisted for the 2016 Man Booker Prize. 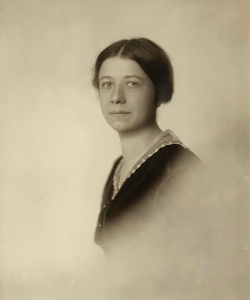 Hilda L. Smith, “The Legacy of Alice Clark,” Early Modern Women, 10, no.1 (Fall 2015): 94-104; Margaret Smith Crocco, “Forceful Yet Forgotten: Mary Ritter Beard and the Writing of History,” The History Teacher 31, no.1 (Nov. 1997): 9-31. Hunt resigned from his position shortly thereafter due to the criticism he received by making the comments, which the University supported and later upheld. This policy of UBC has notably been undergoing reevaluation and restructuring since late last year. There are so many stories academic women could tell about this issue – a good topic for a book.